Math and I never got along. Public education during the late 70’s had begun to diminish to the point of being of little help. Later, in college, I realized how little I was prepared for more advanced classes. I struggled through pre-algebra and dreaded taking algebra. I simply did not understand the basics. After three weeks of class, I was lost and wanted to quit. During a review, the professor asked students to come to the chalkboard and work through the problems assigned so that he could see where we were having trouble. Little did I realize, but he had been watching me struggle, so I was called to the front first. Reluctantly I stepped forward. It took only a moment for me to get lost and instead of letting me struggle, he explained the problem. I did not have all the information I needed. In no time, he gave me the formulas I needed to begin to finally understand. He shed light in my dark world of mathematics. Like John the Baptizer, we have the information the world desperately needs. 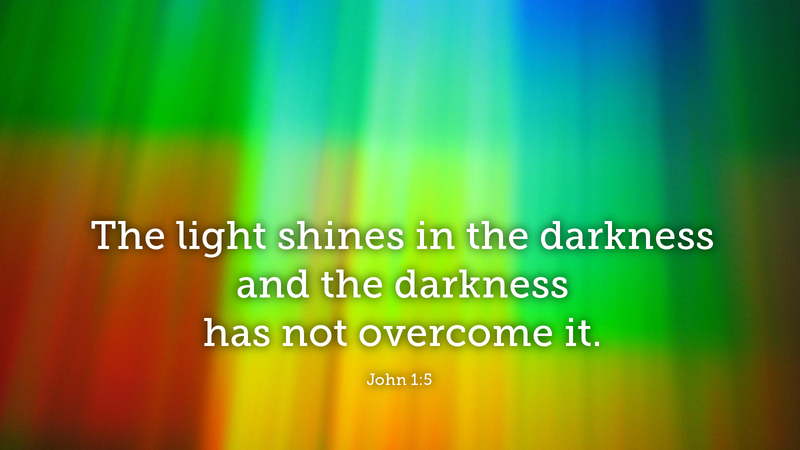 We are called to share the light which is Christ and bring the good news to a world lost in darkness. Prayer: Heavenly Father, help us to share the true Light which is your Son to those we encounter each day. Amen.